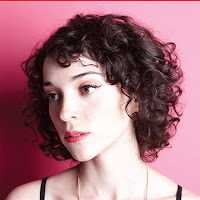 Let's keep the creepy-yet-undeniably-excellent train a rollin' with the brand new "Cruel" video by the beautiful and hyper-talented Annie Clark (aka St. Vincent). As the title suggests, it's a track about cruelty, love, loss and many of the usual sonic-friendly tropes. The music is just as unsettling and crunchy as any St. Vincent fan wants, and finds Clark's voice and lyrical composition in top form. And wow, how about getting buried alive. After being kidnapped and forced to be the "mom" in a strangely-too-normal-looking family. With lush imagery and defiant, yet super catchy sounds, "Cruel" raises the anticipation bar for Strange Mercy another notch. Watch it here, from the original by the Huffington Post.